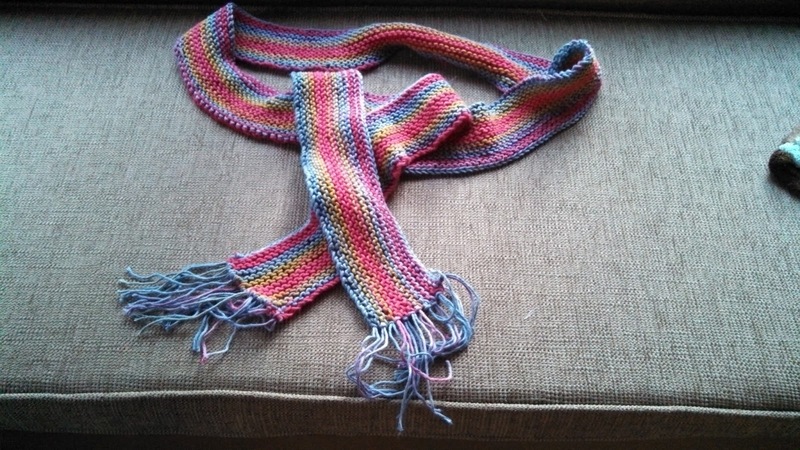 Materials: #7 size needles, 1 skein multi-colored yarn. CO 300 stitches. Knit every row until desired width (2-1/2"). Bind off. Measure off 12 yards for fringe. Cut 14 pieces of 8" length fringe for each end. Fold fringe in half and use a crochet hook to attach to end.